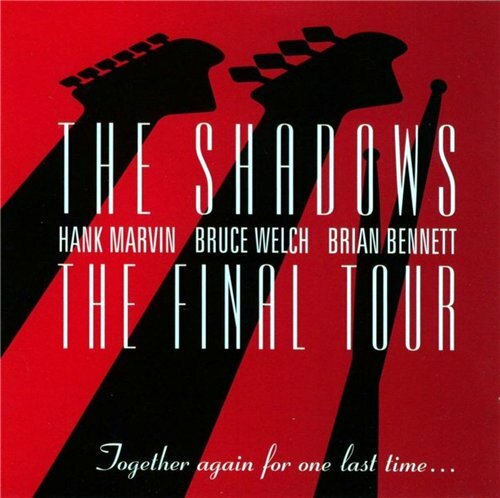 “The Final Tour” clocks in at an impressive 2+ hours in length, a comprehensive set spanning 40+ songs. And yes, this is just one show, one night. 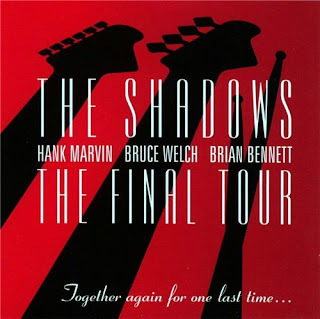 The Shadows figured that if they’re going to go out, they might just as well go out on top, and with this final (literally) DVD release, Bruce Welch, Hank Marvin and Brian Bennett, collectively known as the latest incarnation of the Shadows, do just that. Where the DVD lacks in bonus content – the only included being a 45-minute interview with Marvin and Welch – it makes up for in live material. The trio rock through basically every track you’d ever want them to perform during what is their proverbial curtain call, and as mentioned, the boys will bring you back in time throughout their entire catalog with a set list complete with over 40 offerings. With “the Final Tour” you’ll also get to experience two of the things that made the band what they are today – a combination of over-the-top, hokey choreography and technically precise guitar theatrics. And if you can overlook the lackluster camera shots of the live crowd, which for one reason or another come off as amateur, then “the Final Tour” will be a better viewing for you, though you don’t have to worry too much about those jittery moments detracting much from the show itself. Bear in mind, the quality of the actual concert is superb to say the very least (we’re talking 1080i video here). And add to that pristine sound (DTS-HD 5.1 Master Audio), and you have yourself a very top notch live concert experience. “The Final Tour” is a release that will be sure to more than please current, longtime fans of the band, but it also should succeed in entertaining just about anyone who takes the time to watch it. It’s just good enough to do so.